Win your set of Business Cards! Here is a fun giveaway for those who many need business cards. We all know they can get a pricey depending on the company you choose to get them from, but here's your chance to WIN them for FREE! 250 Die-cut Business Cards with the options listed below. 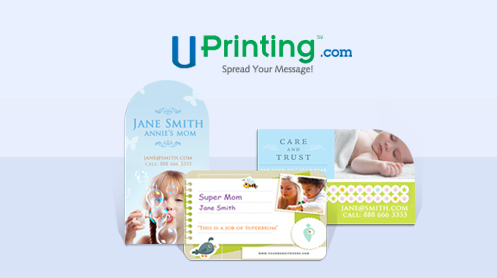 I have used UPrinting in the past for my own business and have had excellent customer service. They prices are affordable and their products range from business cards online, calendars, labels, flyers, banners, stationery and so much more. Disclaimer: You should assume that I will receive free print products in exchange for the post. Any and all reviews posted are based solely on my own experience and may be atypical. Please practice due diligence in making any related purchase decisions. This giveaway was sponsored by UPrinting. All written, opinions expressed are 100% mine.